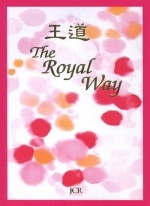 Daesung.com's JCR books releases Grace Upon Grace and Beautiful Memories: Walking After the Light—memoirs of the late founding Chairman Soo Keun Kim and the late Honorary Chairwoman Kwi Ok Yeu—in celebration of the Daesung Group's 60th anniversary (May 10). 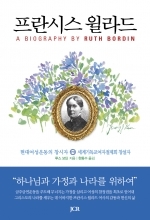 Written with side by side Korean and English text, the memoirs of Soo Keun Kim reveals the grace that God has showered down throughout the Group's 60-year history. 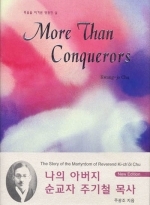 Grace Upon Grace is a biographical work about Soo Keun Kim who, once a poor newspaper boy and left to be man of the house at a young age, victoriously overcame the adverse conditions of the Korean War and turmoil of contemporary history, and led his company to be named among the top ten businesses in Korea, thus entering his name in Korean business history. 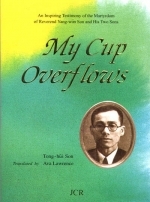 Revealed inside are stories about his hardship and also glorious accounts of how his Christian faith, put into action through the practice of transparent management, paved the way for the Daesung Group to be named a 'region of calm' in the midst of the 1997 East Asian Financial Crisis, and why he declined world-renowned financial speculator and stock investor George Soros' proposal. Also included are brief mentions of the role and vision of his son Younghoon David Kim, current CEO & Chairman of the Daesung Group. SOO KEUN KIM was born in Daegu, Korea on 28 August 1916. He attended Daegu Commercial High School from 1929-1934 and later received his Bacheolor of Law degree from Nihon University in 1943. In 1947, he founded Daesung Industrial Corportation, then Daesung Cosolidated Coal Mining Co., Ltd. in 1965, both Seoul City Gas Co., Ltd. and Daegu City Gas Co., Ltd. in 1983, and was named Honorary Chairman of the Daesung Group in 2000. In publishing the memoirs of the late founding Chairman Soo Keun Kim, the Daesung Group hopes to reflect upon the past 60 years, embrace the spirit of the late founder, and be the light that brightens our society and leads the future.